President of the Real Estate Board of Greater Vancouver, Ray Harris, explains how the supply of condos and detached homes are affecting pricing trends in this overview of the housing market in the Greater Vancouver area for September 2014. Laneway housing is not a new idea in Vancouver. It can be seen in Vancouver’s historic neighbourhoods dating back as far as the 1890s. More recently infills have shown potential to be a positive tool in heritage conservation. 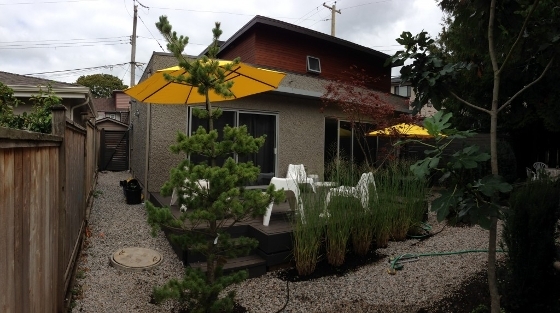 On the 2014 Laneway House Tour, we’ll get inside heritage and modern examples of densification without demolition. You’ll see 8 examples of living on the lane including a c.1890s character lane home and a strata infill built in the 1980s. We will also look at 6 modern homes built after the City of Vancouver’s 2009 laneway housing initiative came into effect. Early lane homes often served as temporary residences while the main home was built, or as secondary housing for staff, guests or extended family. There are many examples of early Vancouverites living on the lane. We’ll take a look at a truly charming 900 sq ft home, built c.1890, that became a lane home with the addition of a larger residence in 1910. The lane was added after the two structures, and the smaller home has since been moved to share a closer relationship with the principal residence. This early home has all the character detailing of a grand Victorian, just in much smaller scale. We will also explore zoning variations with a home that it is part of a strata arrangement with the larger principal residence. This home is not only independently owned and larger than most lane homes, it also has the distinction of being designed by notable Canadian Architect Paul Merrick and was featured in Western Living (December 1990). For those looking for modern examples of laneway housing, we also have six recently constructed residences, built behind existing homes, that showcase the latest in urban design. You’ll see the $300,000 home with a $3 million view and another small home that promises to have one of the best Energuide ratings in the city.